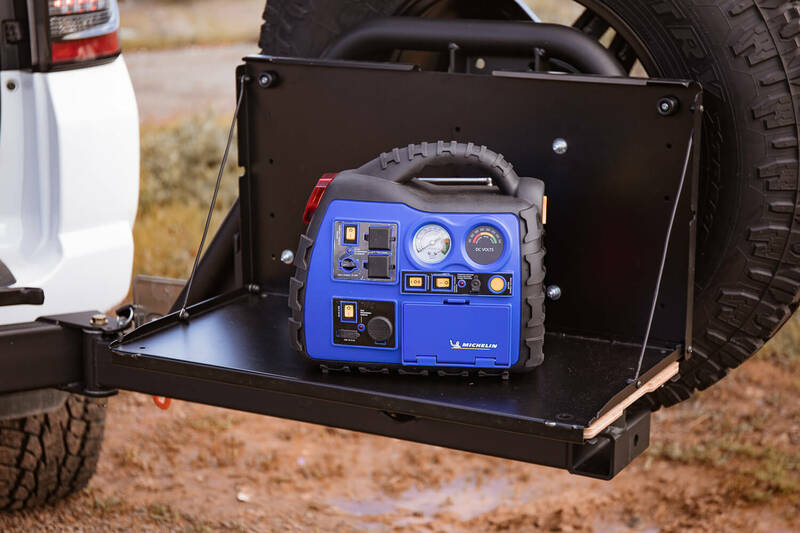 The Michelin XR1, when compared to other similar multi-function portable power sources, might seem pricey but the unit is packed with more features than most in its class. 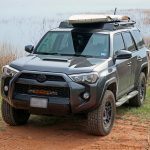 While it might seem like a tough unit to pull the trigger on, it could become a go-to piece of equipment you have in the 4Runner at all times. 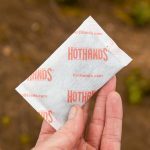 It might even keep you from becoming stranded one day with its built-in jumper cables, which makes it worth every penny. The XR-1 has a lot to offer and we wanted to share the main points of it. 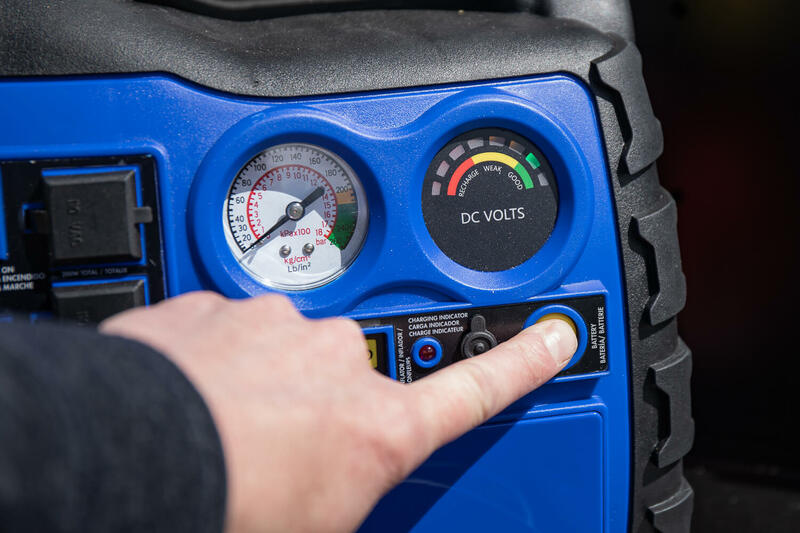 We also want to discuss why it’s worth a consideration if you’re seeking a quality, multi-function portable power inverter/ power source. 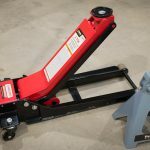 The unit is rock-solid in most areas where you need it to be but it does have a few areas that could be improved upon. 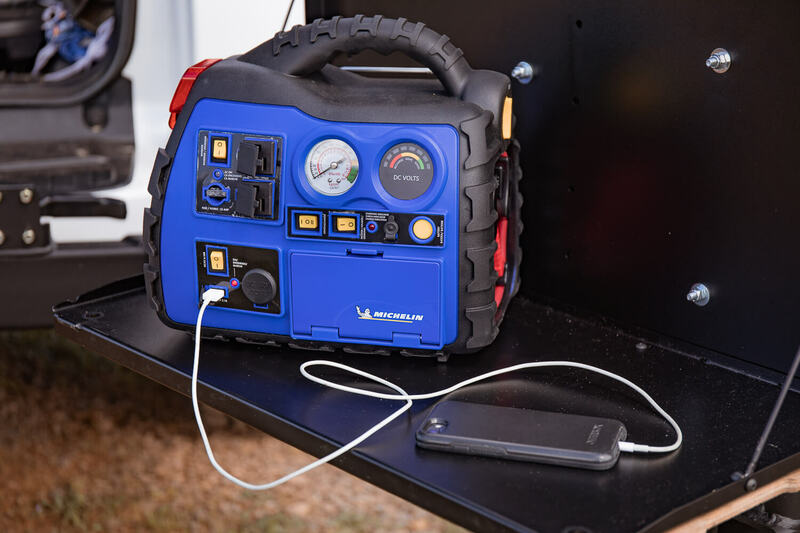 After looking at many multi-function portable power sources, I am confident that the Michelin XR1 will be a side-kick of mine for years to come. When it comes to power the XR1 is pretty damn powerful. It has an amazing 1000 peak amps and 300 cranking amps. As long as your alternator isn’t the issue, this bad boy will get you started again. 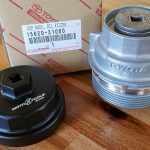 If you are looking for something that you can keep in your 4Runner to help you or any other truck from getting stranded with all the bells and whistles this is the product for you. The XR1 goes beyond standard AC outlets with this one. 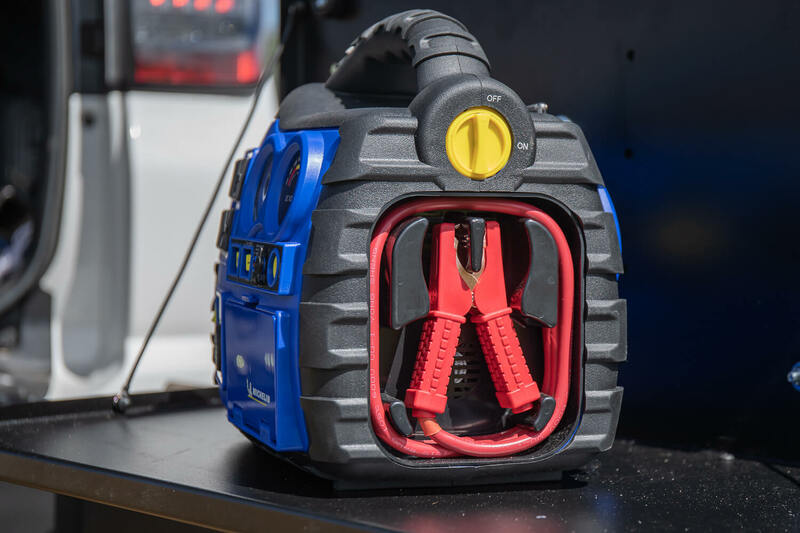 The unit comes in hot with two 110V outlets along with a 12v dc charging adaptor, and one USB. You can charge, power or run a handful of accessories at once and with 48 hours (AC) and 12 hours (DC) run-time, you are sure to see this unit perform throughout the day and into the night. If you are looking for a portable power source that truly has a ton of features this might be the choice for you. Other than the obvious function of being able to jump your battery it includes a total of 6 other features. 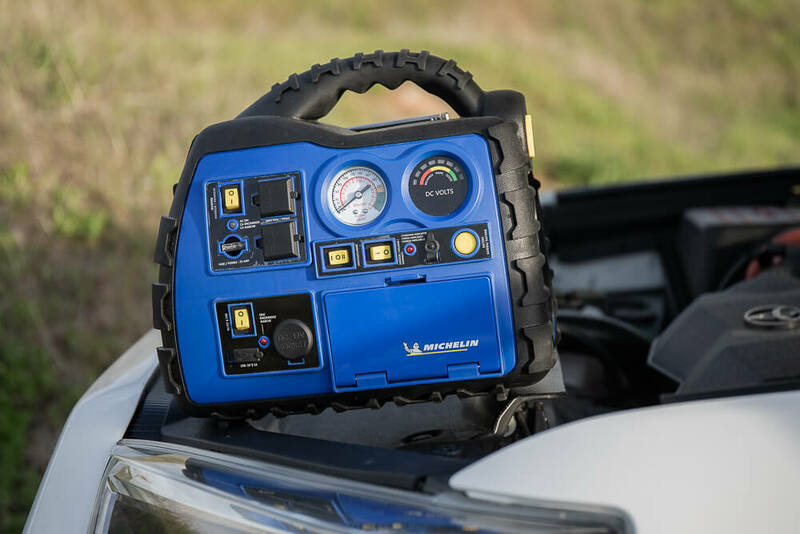 Like we previously mentioned, the Michelin XR1 features 1000 peak amps and 300 cranking amps which is more enough to get a dead battery jumped. 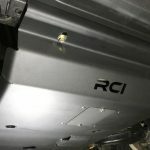 One thing to note is it does feature an anti-sparking jump start protection which is a nice feature to have especially if a novice user on deck or you just slip up. The jumper cable alligator clips are beefy enough to straddle the terminals tight on our 5th Gen, and the AWG/Guage (wire diameter) is stout as well. 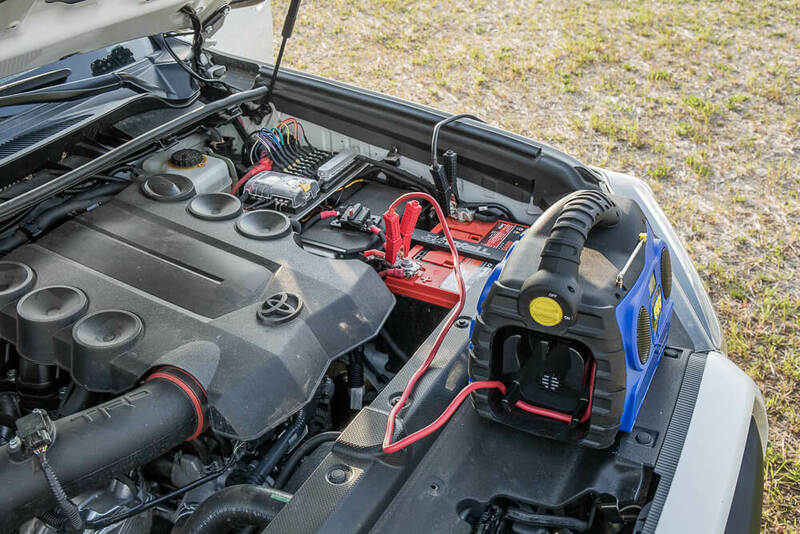 Another great feature the XR1 has is a power inverter that includes two 110 outlets. Other similar products that feature two 110V outlets + USBs come in at $500. The XR1 is around $200. They have a 200W rating and a 400W surge capability. 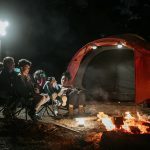 So you can power your favorite 110V camp accessory, all while charging your phone, laptop, and even one more accessory with the 12V inverter. 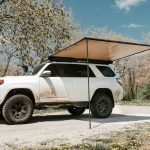 This is a great addition for those who overland camp or see long days away from power sources. 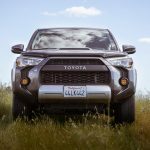 The XR1 features a USB port so whether you are driving the 4Runner or hanging out around camp, it’s nice to know you have another USB port on hand. The outlets feature a built-in external fuse that is replaceable, just in case. The whole unit is rechargeable as well. 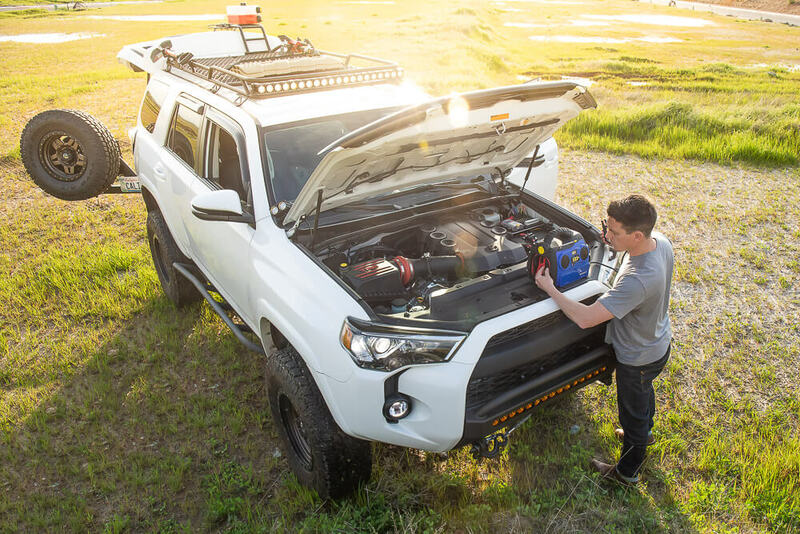 Before you head out, charge it up and the following day just plug it into your factory 110V inverter in the back of your 4Runner to recharge the unit. You can also recharge via solar using a Wagan Tech 60W panel or an 18W panel. Just connect your DC charger connected to the 60W panel or 18W panel and you are good to go. This is a great unit if you want the flexibility of solar or non-solar charging. To seal the deal for you OCD people like me, all the wires condense down into a stable storage compartment. It might be a good idea to throw an extra iPhone charger in this compartment, just saying. Next up we have the 260 PSI onboard air pump which is in its own compartment with the Michelin logo so no external hose. This keeps it from accidentally being damaged when it’s not in use which prolongs its life. 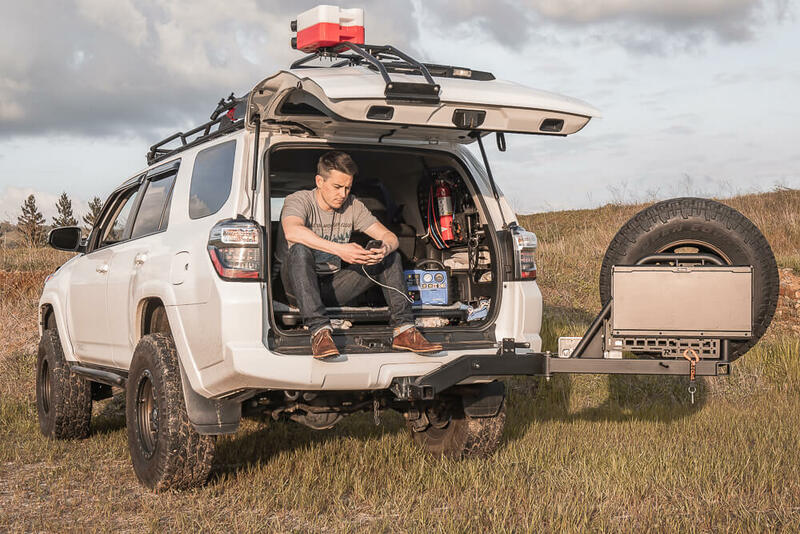 This might be a great feature if you need to air up occasionally, whether it’s at the beach or off-roading. 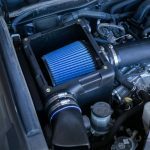 Most of us already have a system to air up and down but I can see this being a good companion to have if someone needs assistance or you forget your compressor. 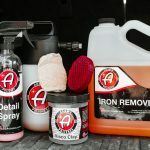 We put it to the test, it does work. It’s not as fast as the SmittyBilt 5.6 with our MORRflate, but it does get the job done. Lights are awesome. It’s always nice to have an extra light on board. This unit comes with an onboard working light that also doubles as a flashing/blinking light. It may come in handy if you are airing up your tire’s on the side of the road to give other drivers a warning. 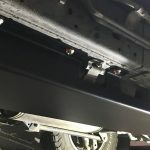 It’s also nice if you need to jump a vehicle at night and you don’t have a pair of under-hood lights installed. This is where the XR1 can improve, it came with an amber plastic cover over the light (pictured above). It’s been a week and that cover has since broken off. I packed a storage box tight against the unit and the plastic just cracked and fell off. It’s not something we really needed anyway. The final feature it has is the Bluetooth/AM/FM radio. 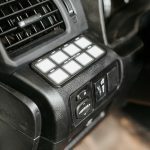 This might be a great feature if you typically bring along a separate radio because it saves on space. We usually bring our portable Bose system with us when we head out and the sound quality on the XR1 is not going to be an OEM audio plus replacement. The sound quality is not great, but it would suffice if we forgot our portable speakers at the house. Having a solution for music is never a bad thing and I can see it coming in handy for sure. Michelin XR1 Vs. Yeti Goal Zero 150? I wanted to compare the Michelin XR1 to another popular portable power bank I was considering, the Yeti Goal Zero 150. As far as everything else goes, they’re pretty comparable. Both units can be recharged via solar. Goal Zero 150 comes in a little smaller than the XR1. The XR1 weighs 16.4 lbs and measures 12 x 11 x 8.3. While the Yeti goal zero 150 weighs 12 lbs and measures 7.75 x 6.75 x 5.75 inches. 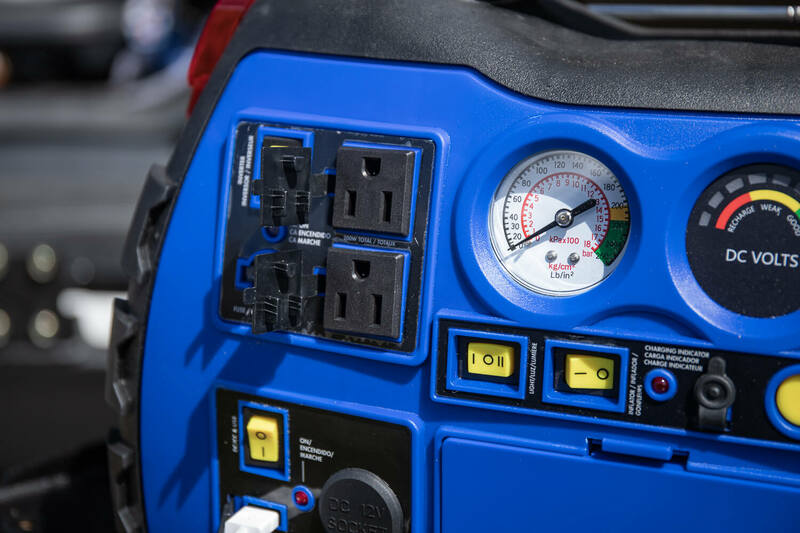 The core features are where the major differences are, Goal Zero 150 lacks many core XR1 features like jumper cables, onboard air compressor, an additional 110 outlet, and built-in radio. Goal Zero 150 does have an additional USB. But, you can always turn a 110V into a USB, you can’t turn a USB into a 110V. Goal Zero makes a large line of power stations that can get up into the 3000Wh of lithium battery storage for extreme runtimes. Once I see the need for a larger off-grid solar rechargeable power bank, I will look deeper into the Goal Zero line. For now, I mostly adventure for 1-3 days at a time. During these weekend trips, most of my accessories stay charged either from my 4Runner or a general power source like the XR1. I don’t see the need quite yet to have a larger 1000Wh – 3000Wh solar-powered inverter. 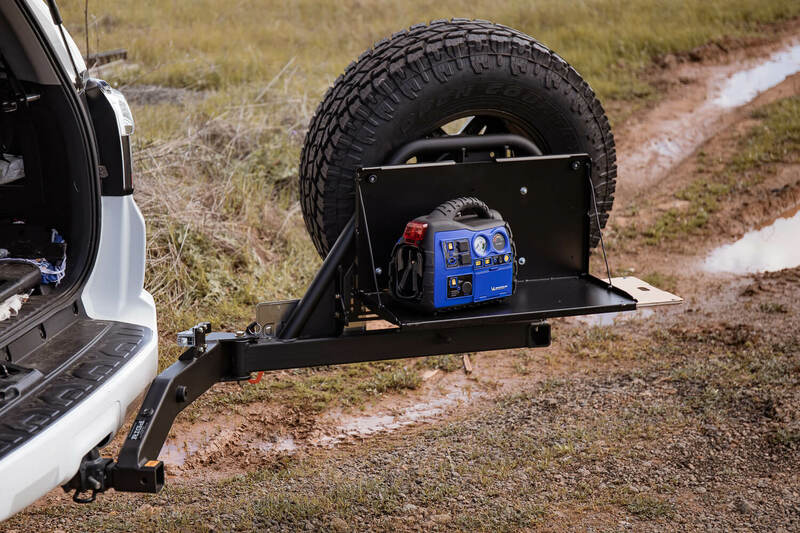 When it comes to a portable off-grid power source the Goal Zero wins. But, if you are a weekend warrior, the Michelin should be more than enough to power your adventure. Is the Michelin XR1 worth it? If you’re looking for a robust power source with lots of features then the XR1 deserves a look. 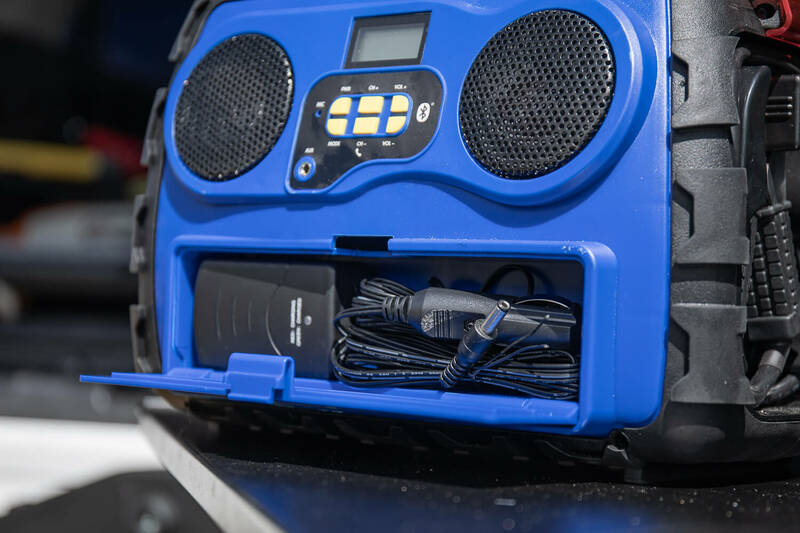 It has you covered if you need to jump a battery, inflate a tire, charge multiple devices at once, power something or just listen to some music. The XR1 is a great product to have due to its features, cost, and it’s overall compact, durable yet stout design. What power inverter are you guys running and what do you think of the XR1?